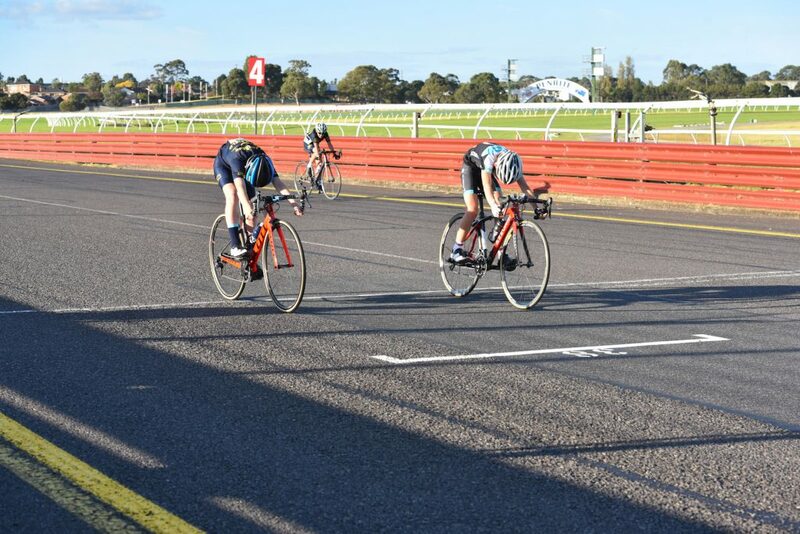 In this article I will describe a local criterium phenomenon that occurs every Tuesday evening during Melbourne’s warmer months of the year. 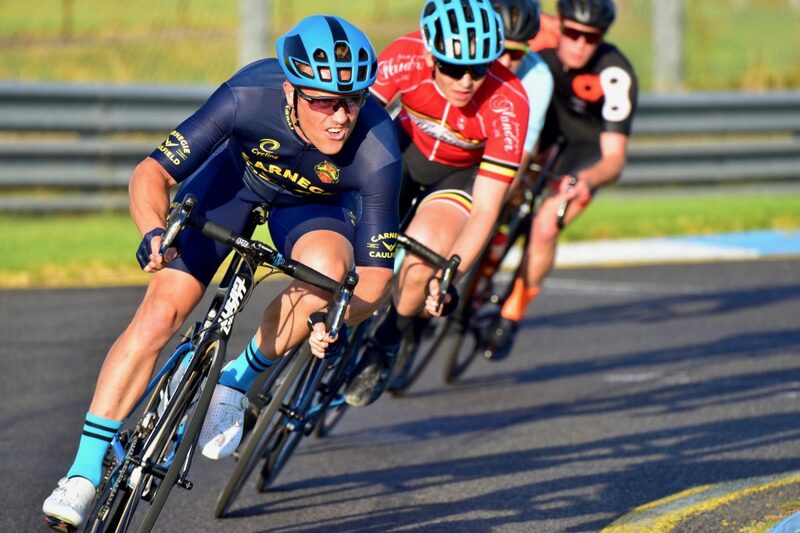 The widely regarded Sandown crit course has become a common stomping ground for many of Melbourne’s (and even Australia’s) best criterium teams and riders. It’s a track designed for racing only, and is commonly referred to as a ‘power circuit’ with the front and back straights being 899 and 910 metres long respectively. 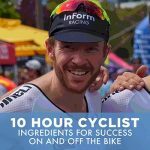 Luckily for local residents, one of Australia’s biggest and proudest cycling clubs – Caufield Carnegie Cycling Club – has secured some precious time on this 3.14 km course to cultivate the race culture in our great cycling community. But before we get into the details, did you know? Sandown was originally intended to be a race track for horse racing, dating back to the 19th century. Following World War II the track was re-developed to include a road circuit, which was built on the outer of the horse track. The race course was first opened in 1962 when the first super car race was held, producing the now famous Sandown 500. It’s even played host to the Australian Grand Prix on six occasions. Fast-forward to the 21st century and we’ve managed to kiss the horses goodbye and replace them with cyclists. Yeoooow. While Sandown draws an International crowd at times – playing host to the professionals in their off season and Conti teams passing by – ultimately the course is well placed to cater for the Inner, Southern, and Eastern suburbs of Melbourne. 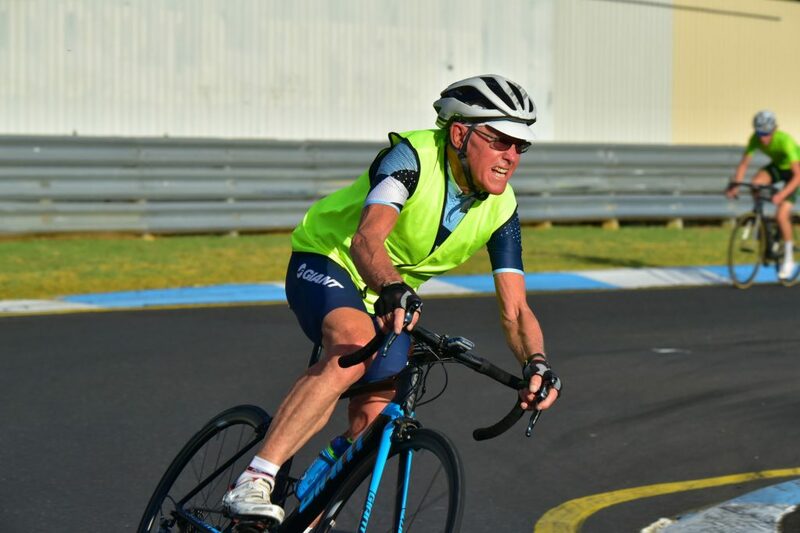 Three of the power house clubs in this area – St Kilda Cycling Club, Hawthorn Cycling Club & CCCC – all seem to come together at this great course. On Sundays there’s rivalry between St Kilda’s South Melbourne course and CCCC Glenvale. On Wednesday evenings you’ve got Hawthorn’s “Teardrop” course, but the hill repeat course seems to entice a specific type of rider. The powerful, light and punchy hill sprinter. Sandown owns the Tuesday evening and is more of a traditional course in terms of its flat sprint finish. Unless of course riders have been able to make use of the wind; meaning you’ll often see a breakaway take the money or even a solo effort at the end. Ultimately, Sandown appears to bring all the big names together from each club, and is considered by many as the toughest course around. Whether its the big hitters from C, B or A grade, all the big clubs seem to be well represented at Sandown. A jam packed B Grade race a few weeks ago. All the heavy hitters from each grade around Melbourne are normally seen lurking around the registration desk at Sundown on a Tuesday evening. Some pleading – “can I please go up a grade”? The course is 3.14 km in length and has two major straights, as previously mentioned. The front straight is 899 metres and the back straight 910 metres in length. While the elevation in the track below looks quite aggressive, the back straight could almost be considered a false flat. You see the road rising, but it only appears ever so slight. However, spend 10 laps on-the-rivet and you’ll soon feel this gradient becoming more and more apparent. 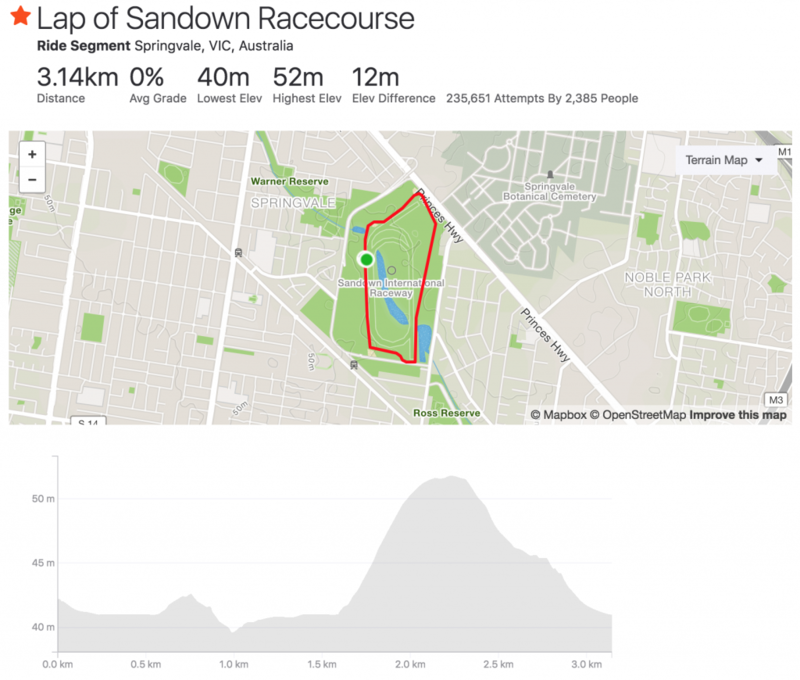 Perhaps the biggest consideration of all when assessing the Sandown Raceway isn’t outlined in the above Strava segment. Sandown is a very open area. There’s no shelter. As a result, when the wind is blowing you’ll be feeling the purity of Mother Earth. There’s no sive or sugar coating with the wind at Sandown. It’s a ripping tiger uppercut that will shred A grade into pieces and put many other grades to the sword. The stronger riders make their presence felt and the drafting that typically feels oh so sweet, becomes a gutter induced thrash festival. The evening time slot also means the likelihood of the wind blowing is almost guaranteed. It’s just a matter of how much? 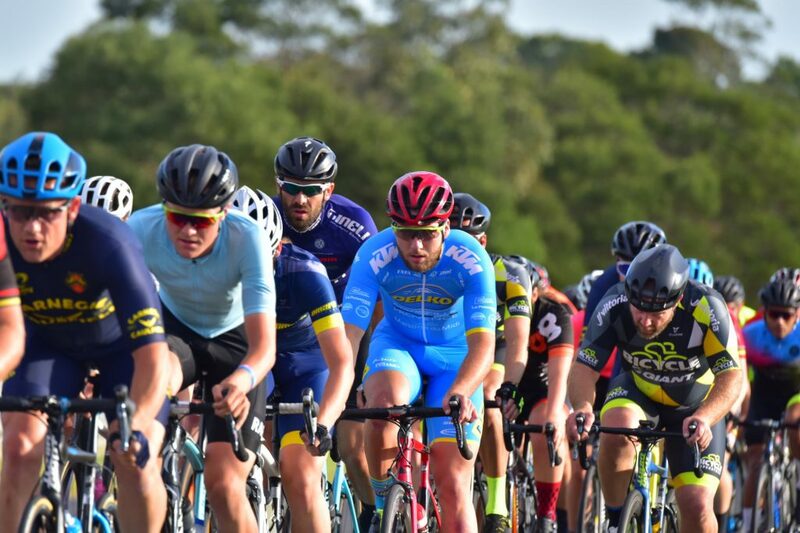 CCCC and their Sandown criterium racing is renowned for developing juniors and creating our next superstars of the future. In this shot Max Goold is seen just talking out Bailey Killingsworth. The “Junior Clinic” takes to Sandown before the main grades. The juniors race the last few laps after they’ve been through some coaching. I remember my first race at Sandown. It would have been around 8 years ago. I had been to Glenvale and South Melbourne criteriums previously. I was in C grade at the time. I was becoming familiar with the coned off industrial estates turned into a 1 km criterium circuit. Then someone said – “come check out Sandown”. “On a school night?”, I pondered. Was I ready for racing to become a mid-week activity also? Turning up at Sandown for the first time I was slightly caught off guard by the environment. While I had heard of Sandown Raceway before hearing of the criterium races, I’d never been to the circuit. I was completely unfamiliar with the track or the “race” feel it provokes as soon as you lay your eyes on it. It’s a course that’s ultimately designed for racing. No traffic or parked cars to contend with. It’s wide roads and smooth corners, aka racing bliss. It has its race challenges with winds and slight elevations (that become relentless after number of laps and attacks). It’s essentially what criterium racing is all about and it’s on a platter for all us Melburnians who feel like a race on a warm Tuesday twilight evening. To conclude, one of the great aspects we tend to neglect at times is all the fantastic volunteers that help support clubs like CCCC. Without them, Sandown and other criterium races in Melbourne would not be possible. Below is a prime example of an Ex Olympian Mick Hollingworth (see his story here) who you’ll always see supporting the juniors and sharing the knowledge and expertise of a true champion. From the team at Bike Chaser – thank-you to all the CCCC volunteer and supporters for making Sandown possible. Mick Hollingworth is a great example for the rest of us, supporting his local cycling club purely through passion and love for the club.